(CNS):Local Lions are doing their best this month to raise awareness about the sight-stealing disease glaucoma and the importance of early detection and treatment, before it causes major vision loss. The Lions are helping to arrange comprehensive dilated eye exams for persons in need by eye care professionals upon request. They are also helping with the purchase of low vision devices and aids to help those with visual impairment maintain their independence. Glaucoma is called "the sneak thief of sight" since there are no symptoms and once vision is lost, it's permanent. As much as 40% of vision can be lost without a person noticing. It is the second leading cause of blindness globally, and the blindness it causes is irreversible. At first, there are no symptoms of glaucoma. Vision stays normal, and there is no pain. 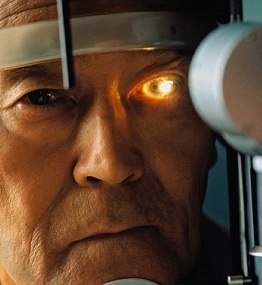 Glaucoma occurs when the normal fluid pressure inside the eyes slowly rises. Without treatment, people will slowly lose their peripheral (side) vision. Over time, straight-ahead vision may decrease until no vision remains. Glaucoma can develop in one or both eyes. Contact the Lions Club of Tropical Gardens at lctg1993@gmail.com for more information on their effort to educate the community about this disease.